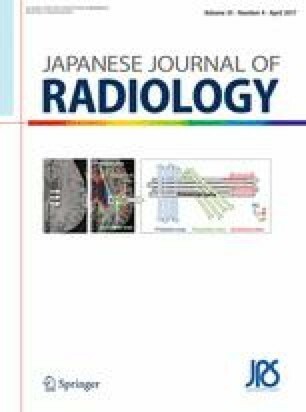 To evaluate the diagnostic efficacy of gadoxetic acid-enhanced magnetic resonance imaging (EOB-MRI) vs. contrast-enhanced computed tomography (CE-CT) in the detection of liver metastasis in colorectal carcinoma patients. One-hundred fifty-eight consecutive patients with histopathologically confirmed colorectal carcinoma underwent EOB-MRI and CE-CT; 68 patients had 105 surgically confirmed liver metastases. Diagnostic analyses were performed according to sensitivity and positive predictive value (PPV) for liver metastasis detection in combined arterial- and hepatocyte-phase images vs. CE-CT by three readers blinded to clinical data. Diagnostic accuracy and sensitivity were evaluated using the alternative free-response receiver operating characteristic method. The overall sensitivity of EOB-MRI (91.4%) was significantly higher than that of CE-CT (80.9%, p < 0.001); the higher sensitivity of EOB-MRI was observed especially in smaller-sized lesions (73.3 vs. 56.0% for lesions ≤1 cm; 91.9 vs. 80.8% for lesions >1 cm and ≤2 cm; 99.2 vs. 95.7% for lesions >2 cm). EOB-MRI showed a significantly greater area under the receiver operating characteristic curve (Az value = 0.970) compared with CE-CT (Az value = 0.899, p < 0.01). EOB-MRI provided higher detectability for liver metastases, especially for smaller-sized lesions, than CE-CT in patients with colorectal carcinoma. Informed consent was obtained from all individual patients included in the study.